What is phpMyAdmin? phpMyAdmin is a free software tool that allows you manage the MySQL database of your website. For WordPress websites specifically, the MySQL database stores all the data related to your posts, pages, comments, users, links and more. Occasionally, while managing your website, you may come across something that requires you to directly access your MySQL database. Note: The use of phpMyAdmin for website database management is considered advanced. If you are unfamiliar with this type of database administration, then it is recommended that you seek help from your website developer. 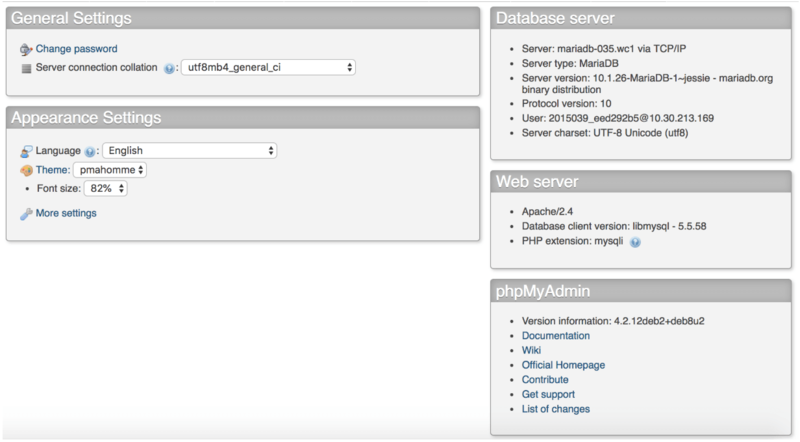 You can access phpMyAdmin from your website hosting account. Depending on your hosting account configuration, you should see a direct link to login to your phpMyAdmin. For example, with iThemes Hosting, you have access to phpMyAdmin where you can go to handle many of the needs for your website’s database. You need 3 main things to start, all of which you can get from the Database Information section of your iThemes Hosting management page. This article assumes that you’ve already gotten your database password. ou’ll also need the database server which you can see from the example above is mariadb-035.wc1.lan3.stabletransit.com. The database username which in this example is 2015039_eed292b5. You will then go ahead and select the Login link under phpMyAdmin. This will bring you to the phpMyAdmin login screen where you will enter the database username and password then locate the database server from the drop-down menu. 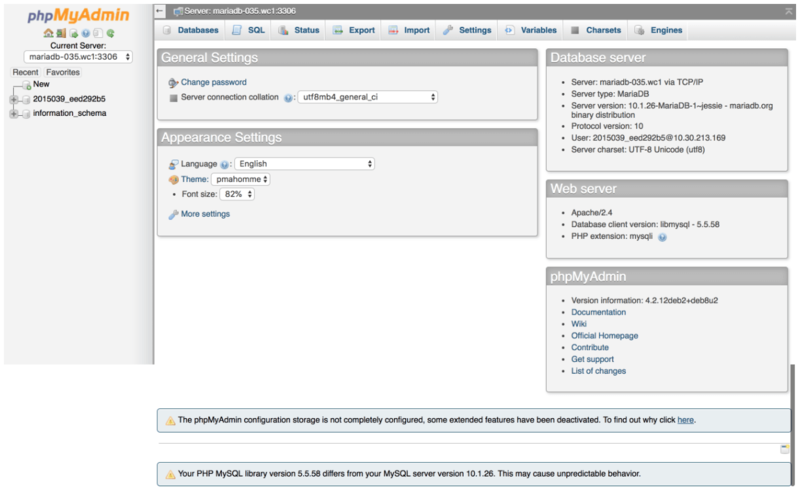 Once you enter that information, you will be logged into phpMyAdmin. When you access phpMyAdmin, the center section is your settings and basic MySQL server information by default. Here you can adjust languages, themes, font, size and many other things. You can also find information specific to your database server and web server from the right-hand menu. 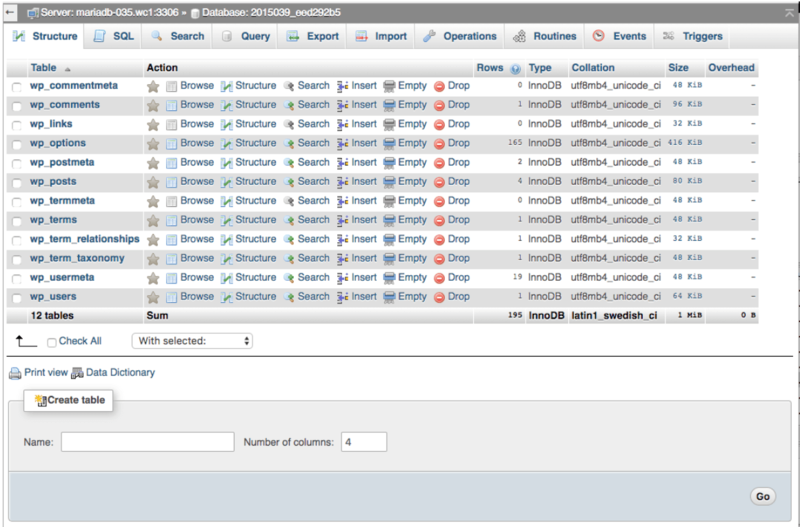 Your database information can be viewed from the left-hand menu. This is where you would select the database you wish to work with. 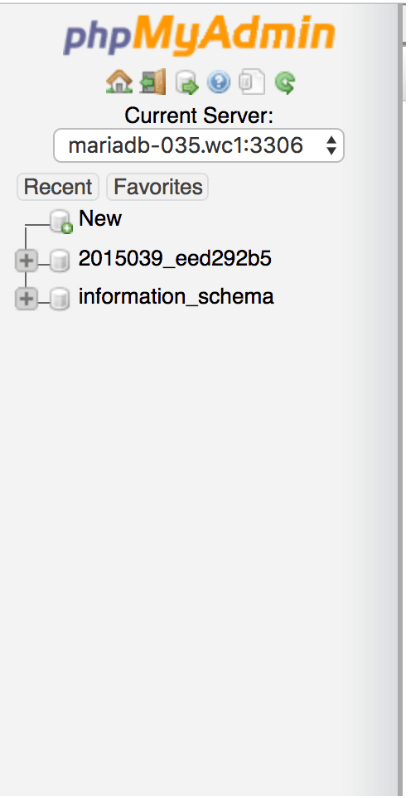 information_schema will be present for all of your databases and can be disregarded. The main database that you are interested in will be listed above that. You will click on that database to open the database menu. From here, you can make modifications to your tables directly, including updating information and deleting content from your site. Note: We strongly recommend making a database backup of your database using a WordPress backup plugin such as BackupBuddy before you make any changes. As mentioned previously, phpMyAdmin database administration is an advanced skill so please be sure to speak with your website developer if you are unsure about changes that need to be made.